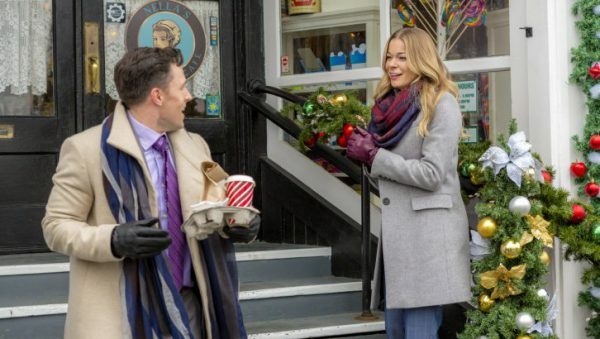 Saturday’s Countdown to Christmas movie on the Hallmark Channel is “It’s Christmas, Eve” starring country music star LeAnn Rimes, and Tyler Hynes. As interim school superintendent Eve Morgan (Rimes) trims budgets, and now she’s in her hometown where it’s personal. Her handsome neighbor Liam Bailey (Hynes) is a music teacher and Eve feels his program must be cut. But luckily her friend is married to an IT guy, who’s created a website for donations directly to save the Arts program. Launched during the tree lighting ceremony, where Liam’s students will perform, the website could provide the Christmas miracle the town needs. Already the Universe is cooperating. Eve is back home and she, Liam and his daughter look like they might be celebrating many a future Christmas. Even with all this going on in their lives, Eve and Liam take time to enjoy some Christmas cookies. 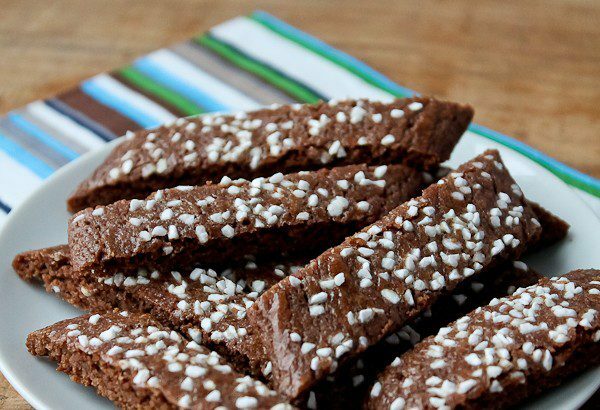 Here are a couple “cookie stick” treats to enjoy while watching the movie. 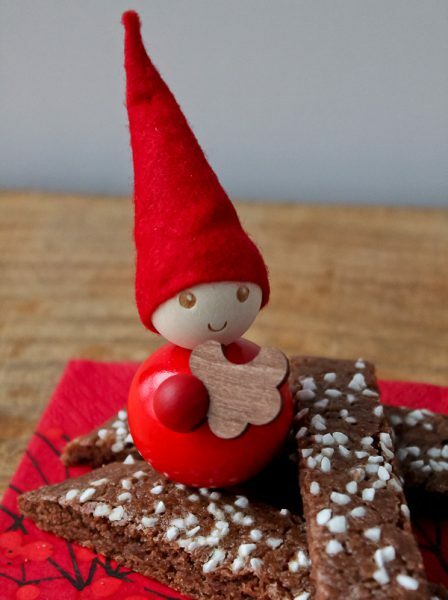 This darling little Finnish elf is inviting you to try these delectable “Snowflake Chocolate Slices” sprinkled with coarse sugar. 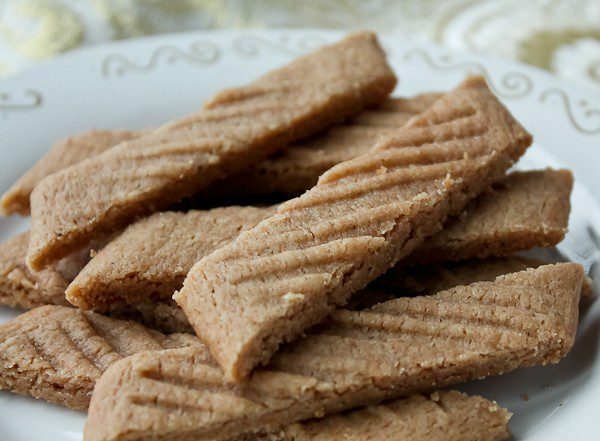 Wonderful with hot cocoa! 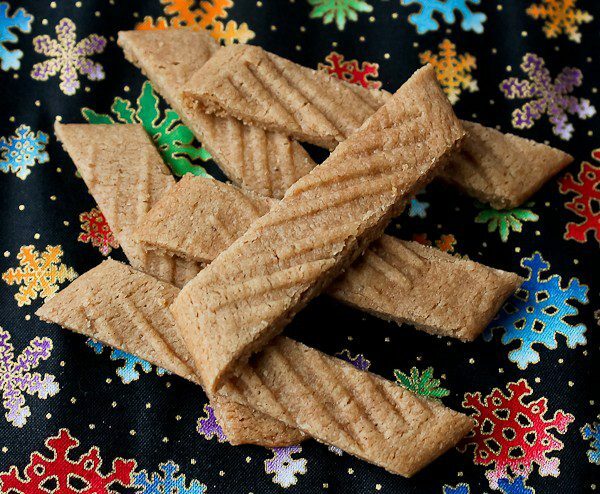 Or how about another recipe for these fun cookie sticks called “Spiced Slice Cookies” with cinnamon, nutmeg, and ginger! Tune in tonight, Saturday November 10th at 8pm/7c for a Hallmark Christmas movie filled with music, and see if the Christmas miracle happens for Eve and Liam. I bet our little elf has something to do with it. What do you think?